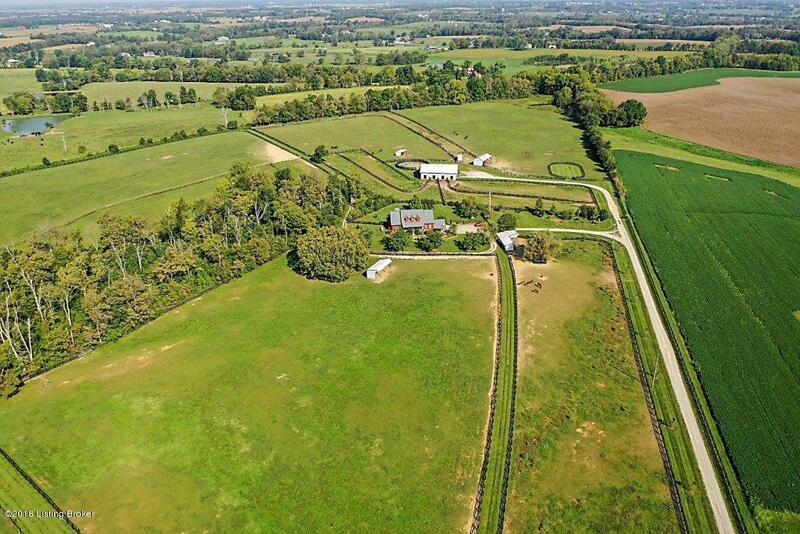 Great new price for this 89 Acre working horse farm currently used for breeding and rehabilitation but suitable for a veterinary clinic or sport horse facility as the land is gently rolling and has frontage on two roads. The main house has an ideal split floor plan with a first floor master suite, an updated kitchen and a large great room addition. This 5 bedroom, 3 bath home is situated on the middle of the property and has lovely views in all directions. 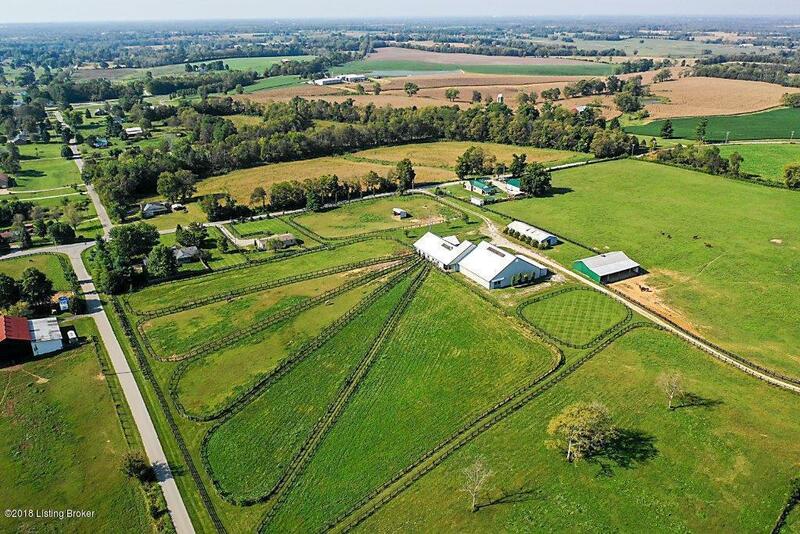 A total of 25 stalls spread over three horse barns (two of which have laboratories); most stalls have access to private paddocks (a couple are covered) and two are climate-controlled isolation stalls. 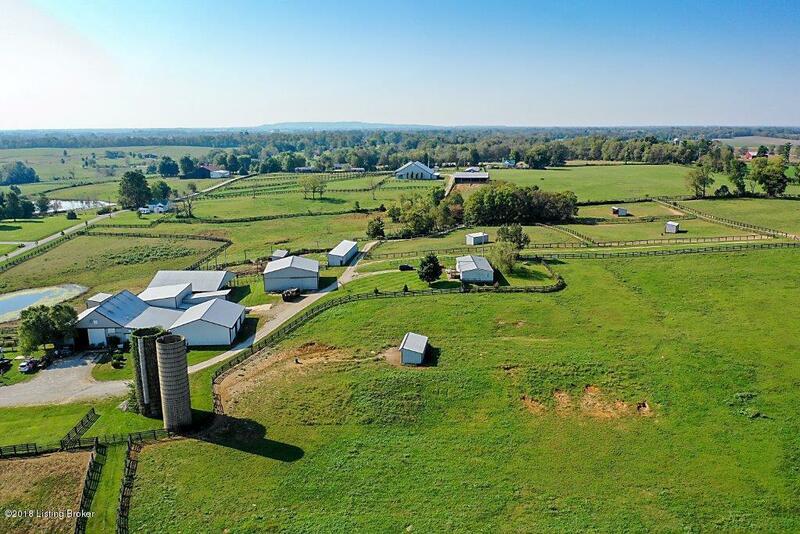 The majority of the property is fenced in various sized fields with appropriate run-in sheds and automatic waterers.There are two updated employee homes near each of the bigger barn complexes and hay and equipment barns are also strategically located. © 2019 Greater Louisville Association of Realtors. All rights reserved. IDX information is provided exclusively for consumers' personal, non-commercial use and may not be used for any purpose other than to identify prospective properties consumers may be interested in purchasing. Information is deemed reliable but is not guaranteed accurate by the MLS or Keller Williams Realty Louisville East. Data last updated: 2019-04-18T20:58:18.653.